Yes, scuba diving in South Africa carries an element of risk – sharks, rogue waves and all that equipment just so you can “breathe” underwater. But scuba diving is so well-regulated and the practice of “safety first” so firmly in place that these factors are hardly an excuse to miss out on the best sport in the world. Let’s be honest, life on dry land presents far more dangers to our well-being than diving the deeps. Scuba diving in South Africa gives you the opportunity to get up close and personal with a domain that is still largely unexplored and alive with mysteries. Think about it: 71% of our planet is underwater. This aquatic environment supports close to 1 million different life forms (with scientists discovering new species on a regular basis), and includes some of the world’s largest mountain ranges. If you’re not scuba diving, then you’re simply missing out on seeing these wonders for yourself. 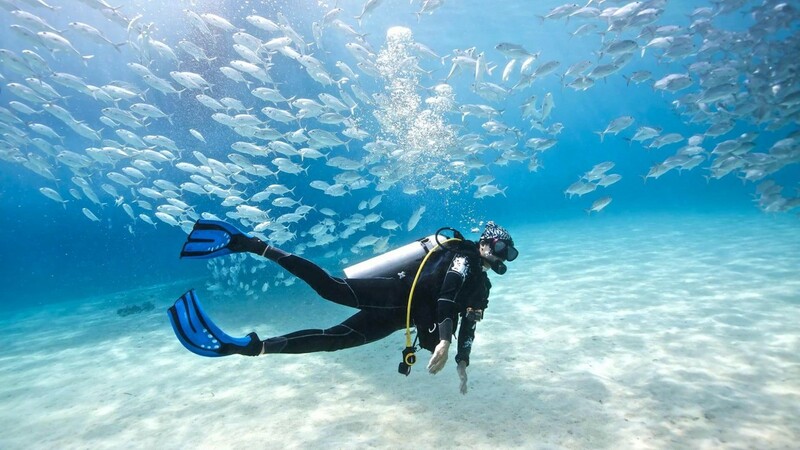 We all need a way to de-stress from the hustle and bustle of modern life and scuba diving in South Africa is the answer. Immersing yourself in the ocean has been proven to be an effective remedy for anxiety and overactive minds. Just watching as the fish and other sea creatures go about their business is the ideal way to unwind and live in the moment. Plus, mastering all that equipment and learning to control your buoyancy has a great payoff: the feeling of weightlessness, similar to the feeling of zero-gravity that an astronaut experiences in space. Keen to have some amazing underwater adventures and discover for yourself why scuba diving is the best sport in the world? Well, you can sign up for a PADI dive course online. underwater.co.za is currently having a “buy one, get one free” special on its PADI Open Water Diver course. So what are you waiting for? Visit underwater.co.za today and sign up for your PADI scuba diving course in South Africa.